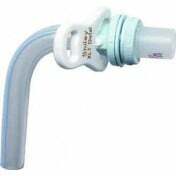 The Medtronic Shiley Tracheostomy Tubes Cuffless with Disposable Inner Cannula is sterile to be inserted into the trachea stoma to provide a bypass an alternate breathing route through the upper airway. 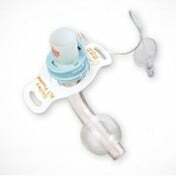 This Tracheostomy Tube offers a cuffless configuration, one of four made by Medtronic. 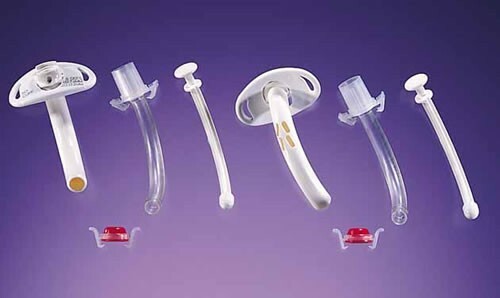 Cuffless means that it's without a cuff or balloon which allows air to pass into the upper trachea. 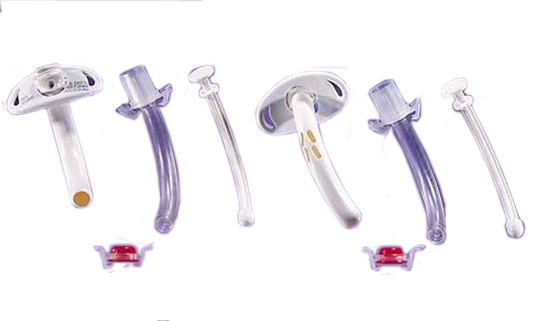 A patient without a cuff design can speak and even cough and therefore it can only be used on non-ventilated patients who can swallow without difficulty. 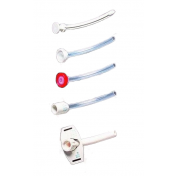 Shiley DCFS Cuffless Tracheostomy Tubes come with a disposable inner cannula with 15 mm snap-lock connector. 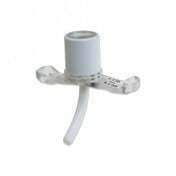 The inner cannula fits inside the outer cannula and is removed to be changed out at least every eight hours. 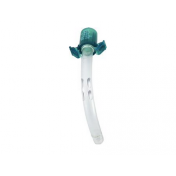 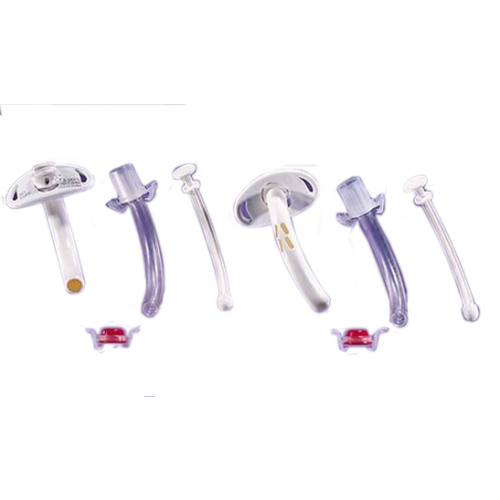 The trach also includes an obturator and a DDCP, disposable decannulation plug to close the proximal end of the DCFS for patient to breathe through the fenestration and the upper airway. 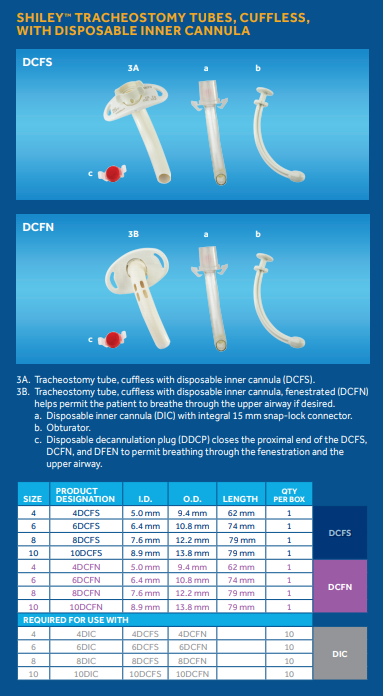 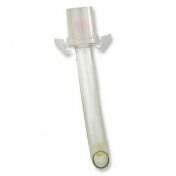 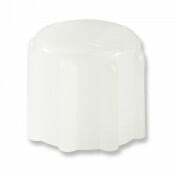 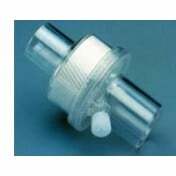 DCFS Trach Cuffless Tubes with Disposable Inner Cannula are available in three lengths in sizes 4, 6, 8 and 10. 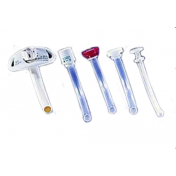 Shiley 6 DCFS is the most common size used. 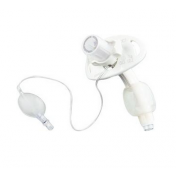 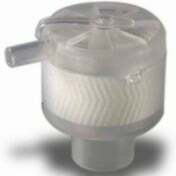 Medtronic also manufactures this trach tube in a CFN Fenestrated design with Reusable Inner Cannula which allows the cannula to be cleaned and reused for up to 29 days.